In my previous post, I described how to convert Time Zones in WinRT/Store apps. I’ve gone ahead and released a Windows Runtime component to NuGet that provides basic time zone conversion. Use the package “WinRTTimeZones” and if you want the source, it’s on GitHub. For anyone who’s tried to convert a DateTime/DateTimeOffset to another time zone in a Windows Store style app, I’ve put together a helper class that uses some of the Win32 APIs that are allowed in Store apps. UPDATE 10/16: I’ve created a NuGet package with a generic version, please use that instead as it already has significant bug fixes. In the code below, I’m converting all times to be Eastern time, but it can be easily adapted more generically. I’m calling the Win32 functions that take changes in daylight time into account, so it should be accurate for any supplied date. The code is based on DateTimeOffset’s as DateTime isn’t allowed as a public type in a Windows Runtime component. Using this code, you can display a list of system time zones. You can also pass in a current DateTimeOffset or DateTime (make sure you have it correctly marked as either UTC or Local) and convert it to a DateTimeOffset in another timezone. Hopefully this will help someone or can be included as part of a bigger utility library. Traceability – some teams require that all tools and libraries used as part of a build, or referenced by their applications, live in source control so they know exactly what version was used to build an app at any point. No-installation – some teams do not want to have to install, or cannot place, packages on their build servers. The default locations are often off-limits in shared build environments. Versioning across branches – While you can have multiple SDK versions installed, every user who builds the app needs to have the right version already installed. 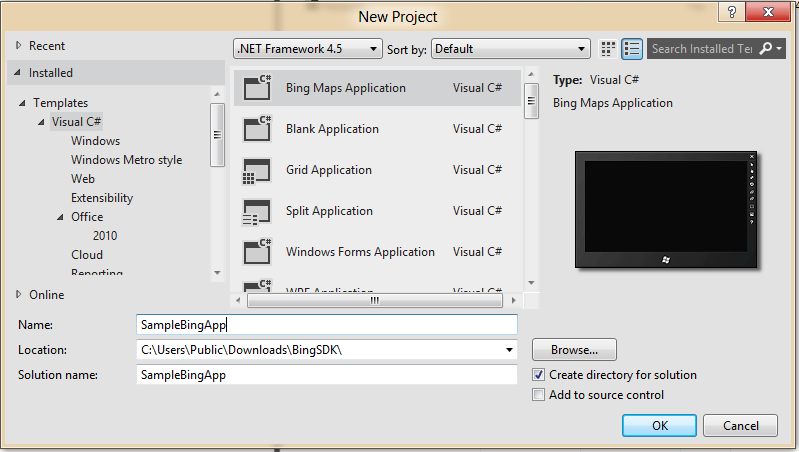 Once there, it will be available in the Visual Studio Add References dialog like any other Extension SDK. 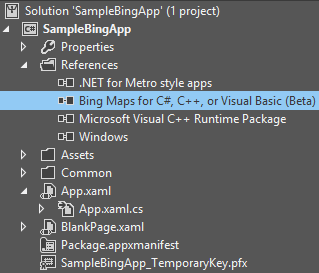 Let’s walk through an example of how we can use the Bing Maps SDK for Metro style apps (beta) as a per-project SDK instead of being installed in either the user profile or program files locations. Initially, most Extension SDKs are likely going to be distributed as either a VSIX or MSI so they can install into the right location. The easiest approach is to install on one machine and then copy the files into your source tree. Then you can then uninstall the SDK if you’d like. You can see from the Path that Visual Studio (and MSBuild) are reading the file from \Users\[username]\AppData\Local\Microsoft SDKs\Windows\v8.0\ExtensionSDKs. Now, lets make our changes so we can store those files alongside our solution. That will tell Visual Studio and MSBuild to look for additional Extension SDKs in your libs directory before checking the default locations. You’re now ready to check your changes in and share them with others. Build systems and other users of your code won’t need to install the extensions as they’ll be using the version alongside your project.